Poppies’ lo-fi rings beautifully genuine, even as they struggle to find an attitude separating them from the rest of the DIY scene. But the independent release is both a symbol of the quartet’s collaborative upbringing, and an early forecast of potential growth. Some everyday sensory experiences are indescribably entertaining; saying the word poppies, in particular, is unique in the sense that its utterance is a pleasure to both our ears and mouths. With lips pressed then parted – and a brain delighted by perkiness of the flower name’s consonance – poppies, along with a spoonful of other bits from our daily English lexicon, appeals to our senses of hearing and touching. So it’s to be expected that a band named after such a satisfying word would bring its audience music equally satisfying. 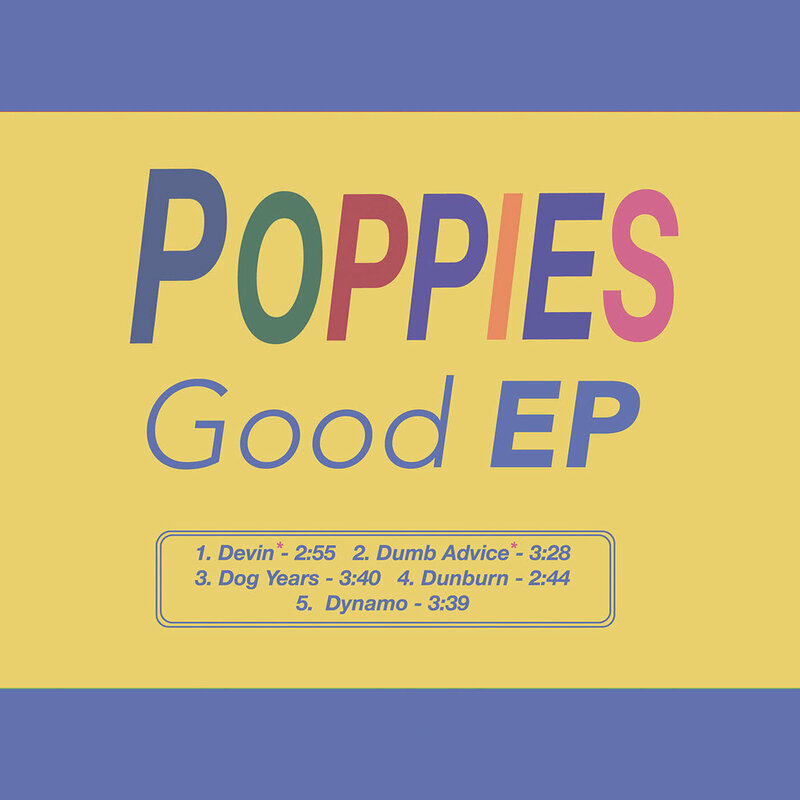 And though New York-based indie rock outfit Poppies began freeing their music into the world only a short year ago, eliciting a sense of self-fulfillment already seems to be a priority of theirs – an appropriately titled Good EP sonically testifies to that. 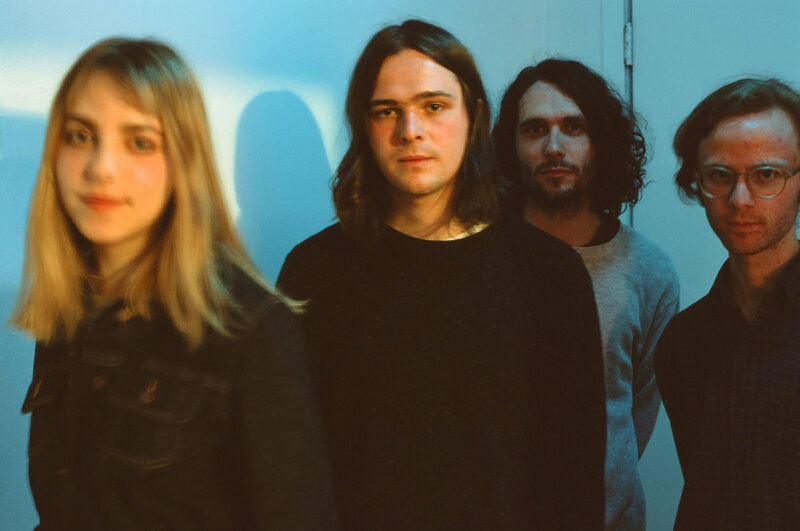 Poppies’ lo-fi – gentle, warm and sometimes childish – rings beautifully genuine, even as they struggle to find an attitude separating them from the rest of the DIY scene. Indeed, the independent release is a symbol of the quartet’s collaborative upbringing, but it’s also an early forecast of potential growth. “Ripped the head off Mr. Bear, but he’d had his run,” sings May Rio, lead vocalist and guitarist of Poppies. The opening line of “Devin” is both a humored and fitting introduction to Good EP’s five-cut tracklist and its creators alongside Rio: Ian Langehough (lead guitar), Keith Rowland (bass) and Steven Whiteley (drums). Simultaneously, the song is a history of exactly how charmingly disjointed Poppies can be as a youngish band, literally and musically. Rio explained that along with its follow up track “Dumb Advice,” “Devin” was recorded as a trio consisting of only herself, Langehough and former band member James Whitney – who was eventually replaced by Whiteley, who’s recruited the band’s newest addition, Lex Nordlinger, to replace himself after the release of Good EP. But all this is just fine, because even in their sprouting days, Poppies are clever, even if slightly un-glued – Rio kicks off “Devin” with a faintness, first-handedly describing a specific toddler boy whose behavior poses as a mix of heaven and hell. It’s an odd story, one that can make a listener question who’s truly complaining: is Rio assuming the perspective of a mother or relative? Or is she a crazed babysitter who spends her work evenings convinced that the kid’s tormented? The answer to that question is unclear, even as Rio unconvincingly says that “everything is fine” toward the end – in this sharp, shrieking moment, the song’s lyrics and music are a perfect fit, although they contrast the softer beginnings. “Devin” represents the bewilderment and extremity that comes with a child, and on the track, Langehough, Rio and Whitney do a good, unanticipated job of contrasting cacophony with pillowed fluff. Standout cut “Dog Years,” one of three inclusions on Good EP that was recorded by Poppies’ most recent line-up, is another instance of the band’s ear for dissimilarity. As Rio and Rowland share the microphone and crack comments about feeling beyond their age (Look like my age, in dog years/ Dang hangdog, me in the mirror) there’s a temporary drowsiness to the song, the title hints that youth can be a dirty, double-sided coin: the phrase “Dog Years” suggests a sense of turbulent aging, but also plays on the idiomatic “dog days,” that, when experienced as a 20-something-year-old, feel a lot longer than advertised. But as Whiteley’s drumming becomes rambunctious during the chorus and conclusion of the track, Rio and Langehough’s intensified guitars reveal that the singers have, indeed, awaken from the lazy slumber of both dog days – and of course, dog years. Perhaps the best thing about “Dog Years” is that even its sleepy moments are original and engaging – these two characteristics fail to have a presence on Good EP’s final, weaker minutes, comprised of “Sunburn” (or “Dunburn,” as the releases happy-colored album artwork favors) and “Dynamo.” The tracks are OK for passive listening at a low volume, and as with the other three parts of Good EP, they’re sprinkled in a sweetness that seems to be Rio’s default inflection that’s reminiscent of Frankie Cosmos’ own ethic. And so, it would be nice to hear something new, something slightly stronger from Poppies – it’s not that the hallmark soprano isn’t entirely pleasant, but rather accidentally borrowed. With that added bit of gusto as a cherry on top, Poppies – masters of teamwork and ingenuity – would be well on their way to DIY distinction. Good EP is out now on Topshelf Records (tape) and Superfan99 (vinyl).